Aql or the Intellect, a faculty which has amazed man from his first realization of being in possession of it, has been the source and cause of much debate amongst Muslim philosophers for the past 13 centuries or so. The Neoplatonic philosophers called it NOUS, the first thing emanating from the First Cause, i.e God. Muslim Philosophers took the ideas of the Greek philosophers to a new level by scrutinizing it in light of the Quran and hadith and attuning it accordingly. According to a hadith of the Prophet (SAW) of Islam, The first thing created by God was the Pen. Muslim Scholars are generally in agreement that the Pen here is synonymous with the Intellect, thus collaborating with the Greek/Neoplatonic belief of the Intellect as the first thing created. The word Aql comes from the root ql which means to bind. The intellect or Aql actually serves to bind an individual to God by furnishing him with true knowledge, a knowledge of reality, and endowing him with the ability to distinguish between Reality and Falsehood. The Stoics called it “Natural Light,” by which one can distinguish between the good and the bad, while Muslim scientists like Ibn Sina and Al Farabi were of the opinion that aql must lead to praiseworthy conduct, therefore an individual of bad character, no matter how sagacious, is not an Aqil, Aql here pertaining to wisdom, hence Aql has also been referred to as fitrah and tabiah, an inherent, integral part of the soul. Generally, when we refer to aql or Intellect we appear to be referring to a rational means of attaining knowledge. There is, however, a more direct and immediate method for acquisition of knowledge which surpasses reason, a faculty generally known as intuition and referred to in muslim philosophy as hads, basirah, nazar, fouad, etc. The seat of intuition is purely the heart or qalb, where it receives direct participation in Divine knowledge or ilm without the aid of rationality. However, intellect and intuition must not be seen as two different faculties but as sub faculties of aql, being two different modes of knowledge procurement. Islam, being a proponent of Unity in all faculties, has never seen dichotomy between the intellect and intuition, but sees both as part of a hierarchy of methods used in the acquisition of knowledge. While Intellect or rational thought may be seen as that rational part of consciousness that assists us in our practical life – all cognitive processes include and comprise thought, Intuition goes a step further. It provides thought with the flight it needs to discover the Ultimate Truth – instead of remaining caged up within mechanical mental processes. Iqbal in his works has dwelled incessantly upon the topic of the intellect and intuition in Islam and the meaning and importance it holds in the life of an individual. Iqbal defines knowledge as “sense-perception elaborated by understanding.” According to him, there are two modes of acquiring this knowledge, one is by creating a connection with the external Reality through sense perception, through the sensual and the rational; while the other is through direct association with Reality as it reveals itself at an internal level, within the heart of the individual. In the interests of securing a complete vision of Reality, therefore, sense-perception must be supplemented by the perception of what the Qur’an describes as Fu’ād or Qalb, i.e. heart. Throughout his works, especially his poetical works, Iqbal describes an ongoing struggle and tussle between Intellect and Intuition, the former referred to as Aql, while the latter as it emanates directly from the heart, referred to as Ishq not only by Iqbal but in most Sufi literature as well, including Rumi. Love, heart and intuition have been used interchangeably in Sufi Islamic poetry, just as we see it throughout Iqbal’s works. The perpetual struggle between Aql and Ishq is due to the fact that reason and intuition oftentimes tend to lead a person in opposite directions, both in their colliding interests, reason putting fetters on the individual and his thought, while intuition bestows upon thought the wings to fly, turning it into Imagination. sometimes, according to Iqbal, true knowledge is not possible without that leap of faith which one can take only under the guidance and assistance of intuition and love, compelled by the heart. In the absence of love religion and dogma are mere idols of illusion! In his Persian work “The new garden of mystery,” Iqbal asks 9 fundamental questions about life and existence, the first being about Thought, which encompasses both rational thought and intuition. A light that is manifest in spite of its invisibility. Hence for Iqbal both intellect and intuition apparently belong to the single faculty of thought, which when taking in ground realities appears as rational thought and when lifted by the wings of imagination turns into intuition. Islam and Islamic thought essentially focuses on unity of phenomena, and therefore sees rational thought and Intuition both as a continuation of thought, merely different modes of knowledge procurement, or apprehending Reality, which form a hierarchy, much like a ladder – as the individual ascends the steps, he or she utilises increasingly superior modes of knowledge acquisition. I had imagined the cosmos to be boundless! It is in fact, Modern science that has created a dichotomy between Intellect and intuition, seeing a wide chasm between the two. Attributing all mental and cognitive processes to the brain and thus as the organ from which thought arises, modern science has completely negated the role of the heart which has been referred to as the seat of “wisdom” and “intuition” by the Quran and all mystic and Sufi literature. 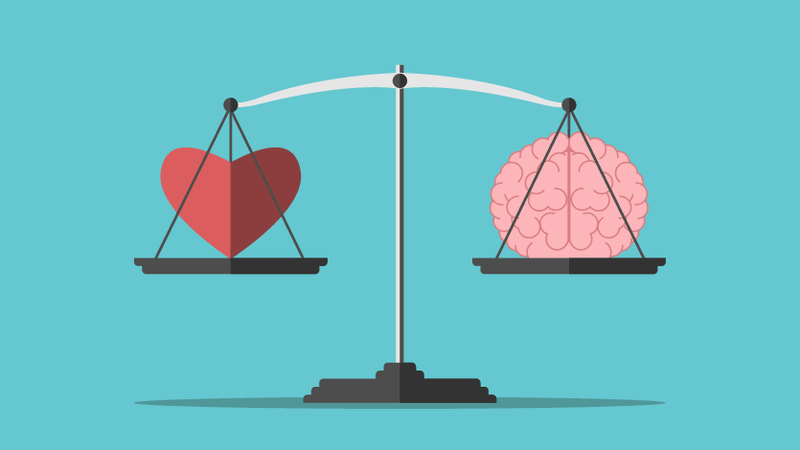 Very interestingly, however, neuroscientists have quite recently discovered the heart to possess its very own nervous system, quite independent of the brain, and capable of not only making its own decisions but also of “influencing” the decisions made by the brain. So there we have it – “intuition” not only assisting, but actually influencing “thought.” This discovery may serve to reaffirm the role assigned by the Quran to the heart as the seat of true knowledge, wisdom, intuition and love.